Despite the popularity of vinyl siding, there are still many myths floating around it. Homeowners who believe these myths have missed out on the many benefits of vinyl siding, so we thought we’d debunk some of these myths to set the record straight. There is some truth to this, but only if you had your vinyl siding installed in the late 1950s, when it was first introduced. Manufacturing processes have taken leaps and bounds since then. Most of today’s entry-level vinyl siding installations are rated for up to 110 mph, or the equivalent of a Category two hurricane. Better siding materials are rated for even higher. With proper care and maintenance, vinyl siding can last you up to 60 years. There’s a common perception that just because it’s made of plastic, it looks cheap. But, as with durability, years of product development has improved the way siding looks. Vinyl is a substance that can accommodate fine detail. If it can be used for such intricate products as vinyl records, horizontal vinyl siding with convincingly real wood grain is much easier to manufacture. Color technologies have also developed over the years, which allows richer colors. Homeowners get a wider selection of color choices without resorting to frequent scraping and repainting. One of the main reasons homeowners choose vinyl siding is because it’s more affordable compared to most vinyl siding options. When you consider its long life span, low maintenance requirements and long-lasting colors, the savings can add up and let you recoup most of your vinyl siding installation costs in a short time. This probably stems from the fact that plastics are equated as not eco-friendly and that vinyl is made of PVC, a form of plastic. But the truth is, vinyl is eco-friendly for several reasons. It generates minimal to no waste during manufacture, requires less fuel for transport thanks to its lighter weight and improves your home’s energy efficiency with insulated siding options. 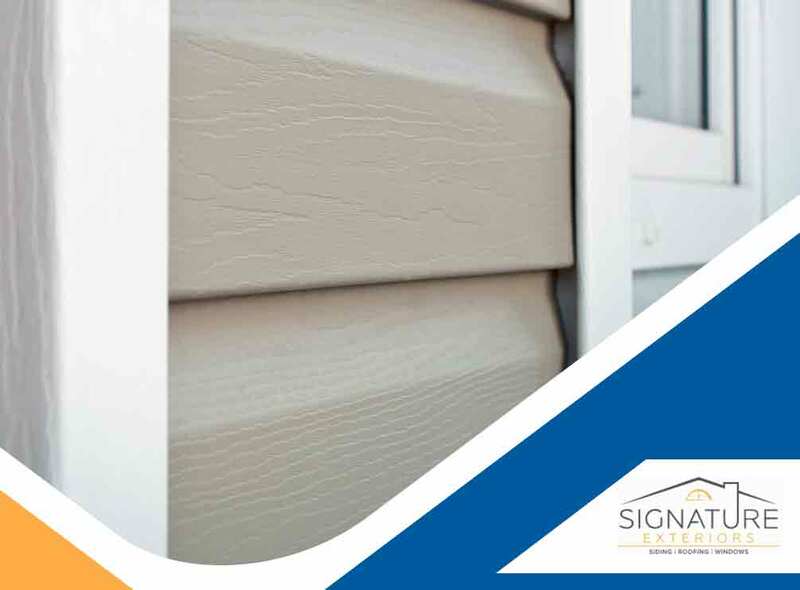 To learn more about what vinyl siding can do for your home, call Signature Exteriors today at (866) 244-8029. You can also fill out our contact form to schedule a free quote. We serve CT areas. « Siding Maintenance Tips for the Fall Season	» Roofing Insulation: Should It Be Replaced Along With the Roof?